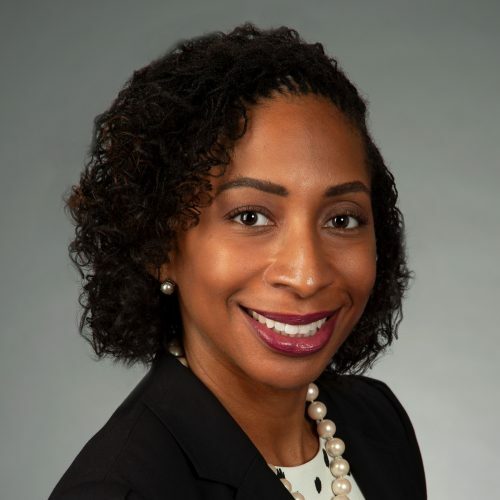 Yendelela Neely Holston is a partner with and Chief Diversity & Inclusion Officer for Kilpatrick, Townsend & Stockton LLP (Kilpatrick Townsend). In her role as Chief Diversity & Inclusion Officer, Yendelela is responsible for overseeing, implementing and providing strategic leadership to Kilpatrick Townsend’s diversity initiatives. As a practicing attorney, Yendelela concentrates her practice on employment counseling, litigation and defense strategy, with particular emphasis on discrimination, occupational safety and health, and wage and hour issues. Prior to returning to Kilpatrick Townsend in September 2018 (she previously worked at the Firm from 2006 until 2015), Yendelela was Assistant Vice President-Senior Legal Counsel at AT&T Services, Inc. where she developed strategy and managed outside counsel in class action litigation involving employment matters against AT&T-related entities. Yendelela also worked proactively with her business clients to determine ways to meet the needs of the business while avoiding practices that have previously resulted in litigation. Yendelela’s passion for the law is rivaled only by her commitment to the community. In addition to her roles on the National Board and Atlanta Local Advisory Board for Jumpstart, Yendelela is a Trustee for and Secretary of her alma mater, Furman University, and is a member of the Board of Directors and the Executive Committee of the Atlanta Legal Aid Society. Yendelela is also a proud member of the Board of Directors for Families First and the former vice-chair of the Board of Directors for WorkSource Atlanta (formerly the Atlanta Workforce Development Agency). Yendelela is an active member of Impact United Methodist Church where she is the former chair of the Staff Parish Relations Committee. Yendelela resides in Atlanta, Georgia, with her husband Karlton and their sons.